Police could not find any ID on either of them. A police officer said the men claimed to be employees of Jio. 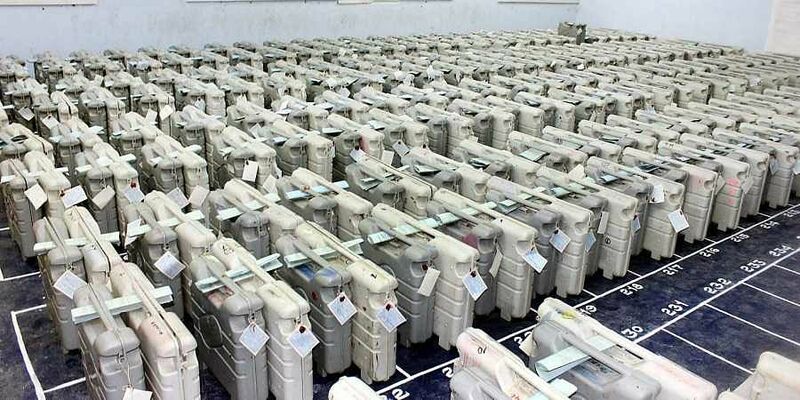 Two men were detained in Chhattisgarh’s Jagdalpur on Thursday for being in possession of laptops in a strongroom housing EVMs. Police are probing how the men entered the strongroom with laptops despite the security measures in place. Police officials could not find any ID on either of them. They also confirmed that it is not possible to enter the strongroom without IDs. According to a tweet by ANI, a police officer said, "They're saying they're employed with Jio. It's being investigated if they've IDs...We can say anything only after probe." Two policemen responsible for the security of the strongroom have been suspended. Interestingly, only a day earlier, a BSF sub-inspector was removed from strongroom duty at Chhattisgarh’s Bemetara district for allegedly using a laptop outside the strongroom. The sub-inspector in question, Vikram Kumar Mehra, was removed after the Congress raised questions about the security of EVMs in the strongrooms. Vikram was part of the 175th battalion of the Border Security Force according to PTI. Polling in Chhattisgarh was completed in two phases, on 12th and 20th November, after which the EVMs were moved to strongrooms at district headquarters.